Dimpna Lucrecia Short, 88, passed away peacefully on Monday, January 28, 2019. Dimpna was born on May 15, 1930, in Huauchinango, Puebla, Mexico. Born to parents Epifanio and Lucrecia Sosa, she was the youngest of 5 children, of which she was the last surviving. She met her husband Warren Short while they were both studying at university in Mexico City. The couple married in 1954, moving to Hanford in 1957 to raise their 3 children. Dimpna is survived by her husband Warren, their children Suzette and Edward, and preceded in death by her eldest daughter Annette. She is also survived by 7 grandchildren, and 5 great-grandchildren. She was a dedicated bilingual educator, migrant advocate, and a devoted Navy wife. Dimpna's first years in California were defined by her independence and drive, learning English and raising 3 children while her husband was serving the country overseas in the Navy. She will be remembered as a giving person who loved life and laughter, deeply valuing her family and friends. A memorial service will be held at St. Brigid Catholic Church this Saturday (Feb.2) at 1 PM, with a gathering to follow afterward. There will be a Rosary in Spanish at 12:30 at the church for those that wish to attend. The family is grateful for the condolences; in lieu of flowers the family prefers donations to Dimpna's favorite local charitable mission, the St. Vincent de Paul Center. Please call 559.772.8213 with donation questions. Deborah Ann Lee of Lemoore passed away Friday, January 25th, 2019 at the age of 58 years. She was born March 21, 1960. There will be a special viewing of Deborah, Friday, February 1st, 2019 from 4-7 PM. A funeral service will be held the next day, Saturday at 11 AM at Phipps-Dale Funeral Chapel in Lemoore. Byron John Martin was born in Brownlee, Nebraska on January 14, 1927, the youngest of six children. He was a rural mail carrier for thirty accident-free years working out of the Lemoore and Stratford post offices. Driving his own car on his daily route amounted to approximately 750,000 miles and at one point, the longest rural route in California. After graduating from high school in Escondido, he went to work at Naval Air Station San Diego, also serving in the Navy at the end of World War II. He attended San Diego State and graduated from Fresno State College with an Industrial Arts degree. While visiting his father and brother in Lemoore, he met the love of his life, Phyllis Zink. They were married on June 9th, 1951 at the First Baptist Church on D Street by Reverend Fletcher. 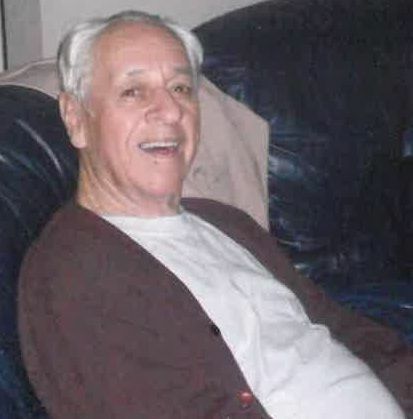 He was a member of the Fresno Gas Model Airplane Club, something he enjoyed for many years with his son and grandsons. He was a long-time member of Lemoore Welcome Lodge #255, Fresno Scottish Rite and Fresno Tehran Shriners. The family enjoyed various trips to numerous World's Fairs and national parks on their way to and from family visits across the United States. He is survived by his wife of sixty-seven years, Phyllis Zink Martin; two daughters, Nancy Day of Atascadero and Joan Fee of Morro Bay, son David Martin (Nicki) of Lemoore; five grandsons Christopher Day (Amy), Steven Day (Bel), Nathan Day, Justin Martin and Brandon Martin; two great granddaughters, Emmaline and Elizabeth and a great grandson on the way. He is also survived by brother, Dr. Charles Martin and sister Patricia Gray Lissy and various nieces and nephews. He was predeceased by his parents Leon and Mabel Smith Martin, brothers Jean Martin, Warren Martin and sister Frances Ummel Boltz. Graveside service is at Lemoore Cemetery on Tuesday, February 5th at 2:00 p.m. Donations can be made to the American Parkinson Disease Association, 135 Parkinson Ave., Staten Island, NY 10305-1425. Deborah Ann Lee found peace on January 25, 2019. She was with her loving son and brother during her untimely passing. Deborah was the daughter of Arthur Y. Lee and Nancie L. Lee. She was born in Hanford Ca. on March 21, 1960. She graduated from Lemoore Union High School in 1978. She had worked a couple of years during high school and a couple of years directly out of high school at her father's family business, The Lincoln Market. This business changed its names to Food King, Best Buy Market under a different management. However, this rather ordinary life took a bit of a turn, sort of speak. In 1981, with child, Deborah was in a car accident that left her partially paralyzed on her left side. She was thrown from the car and landed on her face on the asphalt. Even though the face did eventually heal, the face healed slightly off centered. An x-ray image of her mouth by her dentist caused him to ask if someone ever swung a baseball bat at her head. She was in a coma for about 30 days. What was remarkable is that it was thought at the time that she would never awaken. She did awaken, but she had to spend another 4 months in the hospital to recuperate. And her son, in utero, absorbed the medication she took. And born 2 months premature, he became mentally deficient. This mental deficiency when he was younger, led to hyper noncompliant behavior. This overly anxious child was in direct conflict with the early stages of the slow crawling return of Deborah. How Deborah was able to focus her mind to her recovery with her child buzzing all around her was stunning. Deborah was only outshined by her mother's exhausting will to manage those polar opposites. When she came back from the hospital Deborah could not walk. Crawling was all she could do. Surgery that could have helped was declined because her mother believed it might permanently disable her. What resulted, after many months of near Herculean home therapy by Deborah and her mother, was that Deborah was able to walk again but usually with the need of some type of support. Returning to the severe head trauma that Deborah experienced from being thrown out of the car, this seemed to be the starting point of Deborah's psychological issues. Years after the accident, she started admitting that she was seeing or hearing things certain things that no one else could see or hear. The psychosis that she experienced ranged from whispers from one or more people, to a loud number of people talking to her from the other side of the wall. Her psychological state manifested in different ways from phases of normalcy to that of abnormality. Sometimes she had a quiet and withdrawn posture with forgetfulness of basic functions. Another manifestation would be crying and anxiousness. The 3rd manifestation is of noncompliancy, not wanting to do what's told. This is probably the most dangerous when it involves basic needs. The last one sent her to the hospital a couple of times. But even with all these issues that Deborah had to endure, there was a strategy with medication and instructions that seem to work. This was a manageable routine. What was touching to see is that even within the conflict that might have been going in her head and body, she showed a sweet cheery, talkative disposition. She always wanted to know about and talk about friends and family matters. She loved talking about her son. She liked people. Deborah, our family was blessed by your presence. To know that that your gone is unbearable. To say you'll be missed is spectacular understatement. We will miss you very, very much. Rest In Peace. A Funeral Service will be held on Saturday, February 2 at 11:00 A.M. at Phipps-Dale Funeral Chapel. In lieu of money or flowers, please donate to a worthy charity involved with physical disability or mental health. Pv. 2 Gary John Borba, II of Hanford and Lemoore died Saturday, January 19, 2019 at Fort Campbell Army Base, Kentucky. Gary was born in Hanford, CA July 6, 1995 to Carol Elliott and Gary J. Borba, Sr. He is survived by his loving wife, Araceli Borba, his mother Carol Elliott, father Gary J. Borba, Sr., stepfather Corey Elliott, sister Madison Borba, brother Matthew Borba, his half-brothers Branden Borba and Jacob Borba and half-sister Brigitte Borba. Gary was loving, caring and had a big heart. He was always joking around, putting smiles on everyone's face around him. What made Gary happy was the love for his wife, passion for his guns, hunting with his brother, and spending time with his family and friends. He was also a huge Patriots fan! Gary joined the U.S. Army October 20, 2017. He and his wife were stationed at Fort Campbell, Kentucky. His dream was to eventually become a police officer. There will be graveside services only on Friday February 1, 2019 at 11:00 am at Calvary Cemetery in Hanford. Arrangements under the direction of Whitehurst McNamara Funeral Home, Hanford. It is with great sadness that the family of Kevin Anthony Laureano announces his passing, on Friday, January 25, 2019, at the age of 69 years. Kevin was born in Hanford, Ca. on March 24, 1949 and was a Lemoore resident his entire life. Kevin spent many years as a machine operator for Candlewick Yarns, before moving to Leprino Foods. He retired in 2014, spending his remaining years riding his bicycle and finishing home improvement projects around the house. Kevin will be forever remembered by his two adult children and three siblings; daughter Bobette Laureano and husband Joe Visconti of Santa Clarita; son Christopher Laureano of Santa Clarita; brothers, Sterling Laureano of Las Vegas and Forrest Laureano of San Francisco; twin sister Cindy Laureano and sister-in-law Pam Klugman of Thousand Oaks. Kevin will also be fondly remembered by his six grandchildren: Courtney, Jacob, Angel, Skyler, Noah, and Aiden and his three great-grandchildren: Christopher, Naveah, and Elena, as well as nephews, extended family, and dear friends. A Graveside Service in memory of Kevin will be held on Monday, February 4, 2019 at 1:00 p.m., at Lemoore Cemetery. Arrangements are under the direction of Phipps-Dale Funeral Chapel in Lemoore. Those who so desire may make memorial donations in memory of Kevin to the American Heart Association, Donation Processing Center, P.O. Box 742030, Los Angeles, CA 90074. Charles “Chuck” Bradford Hines, III, passed away on Wednesday, January 23, 2019. Chuck was born on March 30, 1955 to Charles and Patricia (Pafford) Hines in Fresno, California, the youngest of two children. He graduated from Bullard High School and attended Fresno City College. Chuck worked as a bus driver for many years. Chuck enjoyed watching the Minnesota Vikings and Clint Eastwood movies. He was a good dancer and prided himself on his cooking skills. Chuck is survived by his loving wife of 22 years, Elizabeth, and step-daughters, Yvette and Reneé Goularte, his sister, Arlene (Gary), as well as many nieces and nephews. Carole Nelson Workman was born July 15, 1933 in Charleston, South Carolina. She was the only daughter of Cora Nettles Nelson. She attended North Charleston high school, graduating in 1950. After high school, Carole worked as a bookkeeper for North Charleston Light and Power Company until Larry Workman‘s military career brought him to South Carolina. Larry and Carole met at North Charleston First Baptist Church. Larry and Carole dated often on in 1954. They ultimately were married on January 1, 1955 by their pastor Paul Pridgen, Sr. Larry constantly reminds his family of the four bowl games he missed on their wedding day. Larry was honorably discharged from the Air Force on January 10, 1955 and they began their journey across the United States to their new home in Kingsburg, California. They arrived in Kingsburg California on January 17, 1955 and Larry immediately began introducing his new bride around town. The Riverbend community center (island district) threw them a wedding reception attended by about 100 people. Tom DeGraff (uncle to Larry) was master of ceremonies, and Dr. Frank Lundberg, former pastor of Riverbend Church was the primary speaker. Carole eventually retired at age 62, wanting to work the grounds around her dream House on the Kings River. Larry and Carol lived in their dream house on the Kings River for 23 years before moving back into town into a gated community. During the early years of Carol's retirement, she began volunteering at KCAPS, The Kingsburg Community Food Bank. She remained a faithful volunteer there for approximately 20 years. Over the years, Larry and Carol made many trips back to South Carolina so that Carol could see and visit with her much loved family. They went by car and by plane and with kids and without. In the early years, Larry had an old 1949 Nash that he fashioned into a station wagon so that all of his children could ride in the back on one of those trips (no seatbelts required back then). Carole thoroughly enjoyed country living and only moved back to town because of her ongoing debilitating disease. Throughout the devastating process of this disease, her family was committed to keeping her in her home where she was comfortable and her surroundings familiar. Carole was and will always be deeply loved by her family, including her husband of 64 years, Larry Workman, her children, Penny, Holly (Daryl), Lance ( Pam) and Hal (Lisa). From those children, Carole was blessed with 11 Grandchildren, and 15 Great Grandchildren. Carole was preceded in death by her mother, Cora Nelson in 1982, her son Scott Workman in 1981, and her granddaughter, Whitney Sonksen in 2005. We rejoice in that reunion today. Our family wishes to thank Jill Valenti, Donna Wood, Janet Freeman, and Gabby Sarkisian for the excellent and heartfelt care of our Momma. Barbara Casarez of Hanford passed into eternal rest Thursday, January 24, 2019 surrounded by her family. Barbara was born June 15, 1942 in Lemoore to Robert and Linda Araujo. In 1959 she married Oscar Casarez and together they raised their three daughters in Hanford. Barbara was a hairstylist for 32 years and her clients quickly became family to her. First and foremost, Barbara loved being a wife, mother, grandmother and great grandmother. Spending time with her children and grandchildren was what she lived for. She enjoyed hosting family dinners and having everyone come over to her house for swim parties. Barbara never met a stranger; her friends were very important to her. She will be remembered most as having a “heart of gold.” Prior to her illness 22 years ago Barbara enjoyed dancing and traveling with her husband to Vegas, Mexico and especially Hawaii. Barbara is survived by her husband of 59 years, Oscar Casarez, her children Kathy Rivera (Frank), Stephanie Ordonez (Joe) and Sutton Guzman (Ed) all of Hanford. She leaves her beloved grandchildren; Kaylyn Ordonez, Jared Ordonez (Laura), Ryan Rivera (Courtney), Bree Meeks (Kirk), Taylor Serna Guzman, Karsyn Guzman, Clay Guzman and Kalvyn Guzman and her great grandchildren; Jace Ordonez, Jordan Ordonez, Kendall Delacruz, Kennedi Meeks, Lenny Rivera and Kohen Meeks. Also surviving are her siblings Carolyn Hoga of Illinois, Sharon Avalos of Idaho, Veronica Shriver of Pennsylvania, Oscar Barron of Hanford, Janet Donnell of Hanford, and Joann Barron of Montana. She was preceded in death by her father Robert Araujo and her mother Linda Barron and her two brothers Maynard Silva, Jr. and Archie Barron. Visitation for Barbara will take place on Monday, February 4, 2019 from 8:30 am until 10:00 am at Whitehurst McNamara Funeral Home, 100 W. Bush St. Hanford. A Rosary will be recited at 10:30 am and Mass will follow at 11:00 am at Immaculate Heart of Mary Catholic Church, 10355 Hanford-Armona Rd, Hanford. Interment will follow at Calvary Cemetery. John Roubos Jr. of Visalia, California passed away on Thursday, January 24th from complications following a stroke. He was 67 years old. John was born October 5, 1951 in Hanford, California. He spent his youth hunting, fishing, and working on the family dairy. John graduated from Laton High School in 1969 where he was an FFA officer and excelled in football, baseball, and wrestling. Upon completing High School he joined the National Guard where he served for five years as a helicopter mechanic. When his duties were over, John returned to Laton where he farmed a large plot of land near the Kings River, growing cotton, hay, and corn. After a hip replacement surgery ended his farming days, he began work as both an electrocardiograph technician at Hanford Community Medical Center and a rural carrier for the Hanford post office. After five years of working both jobs, he received a route of his own. John worked at the post office for 20 years and took great joy in making new friends on his route. In October of 2017, John retired to spend more time with his growing family. John enjoyed going on hunting trips, rooting for his beloved Dodgers, treating friends and family to breakfast, and occasionally closing down the Lacy Inn. His greatest joy, however, was being a grandfather to his grandchildren Elijah James Roubos and Keira Jane Roubos. Anyone who spent longer than five minutes in conversation with John would invariably see a proud Pop Pop beam as he shared pictures and stories. John Roubos was a good hearted man with many, many friends. He was quick to love and easy to talk to. John had a genuine interest in others and enjoyed hearing about the lives of anyone he met. He was deeply invested in the lives of his friends and family. Because of this open heart, John made friends wherever he went; from the waitresses at the Country Cafe to the bank managers at Union Bank. Although John's life came to an early end, he lived a full life, instilling quality ethics, morals, and love to his children and grandchildren. He will be greatly missed by all his family and friends. John was preceded in death by his parents John and Helen Roubos. He is survived by his sister, Carol Tamayo of Hanford; son John Roubos III, his wife Katelyn, and their two children - Elijah and Keira - of Visalia, and his son James Allen Roubos, his fiance Christina, and children - Savannah, Ricky, Brenden, and Lexi - of Huntington Beach. A Celebration of John's Life will be held at 10:00 am on Friday, February 1st at People's Funeral Chapel; 501 N. Douty St, and Burial following at Hanford Cemetery; 10500 S. 10th Ave, Hanford, CA 93230. He graduated from Buchanan High School and attended Fresno City College. Chuck worked as a bus driver for many years. A Memorial Service will take place on Wednesday, January 30, 2019, at 11am at the Riverdale United Methodist Church; 20721 Malsbary Street. The family requests all attendees to wear blue. A luncheon honoring Chuck's memory will be held at the Riverdale United Methodist Church's Hall immediately following the services.